Women on a Mission: Mom Edition: NO ICED TEA IN FRANCE—NO WAY! One thing I know for sure (and Ethne knows for sure) is that we L.O.V.E. Iced Tea. Not the gross in the can or bottle kind! And, not the kind that is loaded with sugar or artificial sweetner. Ethne and I L.O.V.E. real legit brewed tea poured over ice. 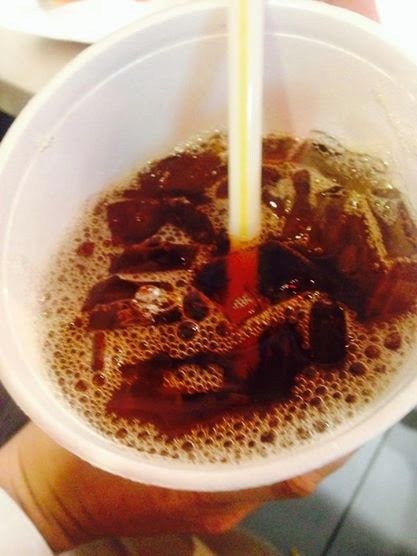 NOT KIDDING: The first thing I did when I landed in the States was pick-up a McDonald's unsweetened iced tea! France doesn’t have iced tea. Trust me, you order it and you get tea in a can or bottle. Even McDonald’s doesn’t serve it, but they do serve Heineken Beer. This is the French version of "iced tea"
I am missing my McDonald’s drive through and Hardee’s drive through back home for this (and ONLY this) reason. The other day, we attempted to use our “limited” French to order legit iced tea. We asked for seeped hot tea and two large cups “full” of ice. It didn’t work. First, we received the kind in the bottle with two glasses of ice. We sent it back. Then, we received hot tea with a small bowl of ice. We asked for more ice. In the end, Steve and I truly enjoyed our glass of iced tea. The French viewpoint (their translation) for iced tea is the kind in the bottle or can. And that is OK. That is their right. And, this is probably my biggest surprise so far. But I am sure missing it! Thank god we have an amazing host family that let’s us brew our iced tea at home.